Dr. Francis D. Boateng is currently an assistant professor of criminal justice at the University of Mississippi. He started his academic career at the University of Minnesota where he served as an assistant professor for a year and half. Dr. Boateng received his master’s and PhD degrees in criminal justice and criminology from Washington State University and is currently working on several projects focusing on issues relating to terrorism, intimate partner violence, sexual assault victimization, hate crime and immigration. His main research interests include comparative criminal justice, comparative policing, Police legitimacy, international security, victimology, quantitative research, terrorism, crime, law and justice. 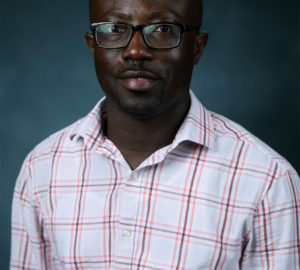 In addition to presenting papers at professional conferences such as American Society of Criminology (ASC), Academy of Criminal Justice Sciences (ACJS), and Western Association of Criminal Justice (WACJ), Dr. Boateng has published extensively in top criminal justice and criminology journals, including policing and society, journal of interpersonal violence, International Journal of Offender Therapy and Comparative Criminology, Crime and Delinquency, Policing: An International Journal, and others. Moreover, Dr. Boateng’s edited book “Terrorism: Strategic and Methodological Approaches” is scheduled to be published in July. Dr. Boateng has tremendous field work experience, conducting surveys in various countries, including USA, Ghana, Taiwan, China, and Iraq. He is an advance user of several statistical software packages such as SPSS, AMOS, Mplus, and HLM.